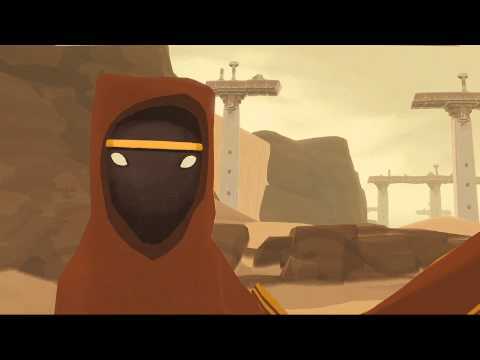 It's a journey in an online world, exploring vast sand landscapes and a "mysterious civilization". People will be able to choose to play the game alone or with others, depending on this choice their experience will be different. 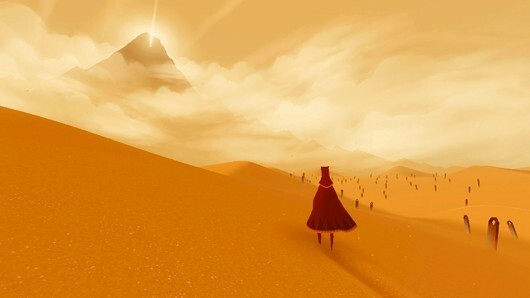 Journey will be focused on making the player tiny and weak again, removing the powers acquired in their modern-day lives. Players met online will not be identified with a gamertag or username, and voice or text communication will not be possible with the other player. "It's about two strangers who meet online. They don't know who they are or how old they are. All they know is that is another human being." From the same Jimmys that made Flower, Journey. A co-op game? It looks amazing, but we don't want to start talking about graphics do we? Graphics?! Are we talking about Graphics?! No gamertags or usernames will be shown, no voice or text chat will be available. WTF? Developers just not even trying to put these features into PS3 games anymore. Check out the trailer and leave some comments.